Ever since I got my first SKS I've always wanted a nice Russian SKS but something else always came up or the money was short an then the prices went sky high so I just gave up and settled for what I had. Well I guess sometimes it worth the wait and good things happen to those that do. To make a long story short I got if from a friend that had four of them stashed away in the back of the safe room. It's a 1952r black bolt refurb that has never been fired since it came in country. He originally gave $189 for the rifles so I just basically doubled his money and now it's mine. Can't wait to get her cleaned up and get some warm weather to put some rds. downrange. More pics to come. That’s a mighty fine price for a Russian these days! 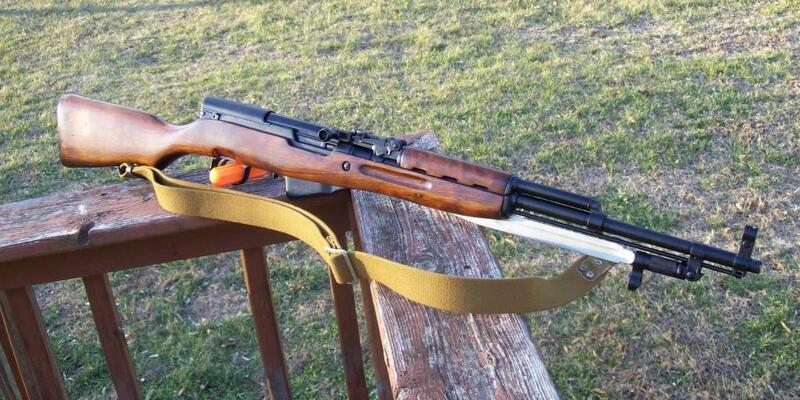 The SKS is so overshadowed by the AK47 but it’s a pretty nifty rifle in its own right. If it was American made a couple decades earlier, folks would still be talking about what a great deer rifle it was. I like some of the AK's and have shot a few but don't own one. I like the recoil impulse of the SKS over the AK and it's much more accurate especially with my handloads cast or jacketed. I've always referred to the SKS and the poor mans M1 Garand. The SKS is a great gun for the money. Here in Canada they originally sold for just under 200.00 CDN but now up to 269.00 in my local gun store. They are still prevalent but for sure going to get harder to find as I think the supply from the commies is running dry. We have one that has thousands of rounds down the barrel, still accurate for what it was designed to do and very reliable. Back in the early 90's a friend paid well over $500 for a Russian SKS. At the same time, brand new Chinese SKS was $89, $109 with a 1440rd case of "silver box" non corrosive ammo.